New bloggers often ask – What is email marketing? 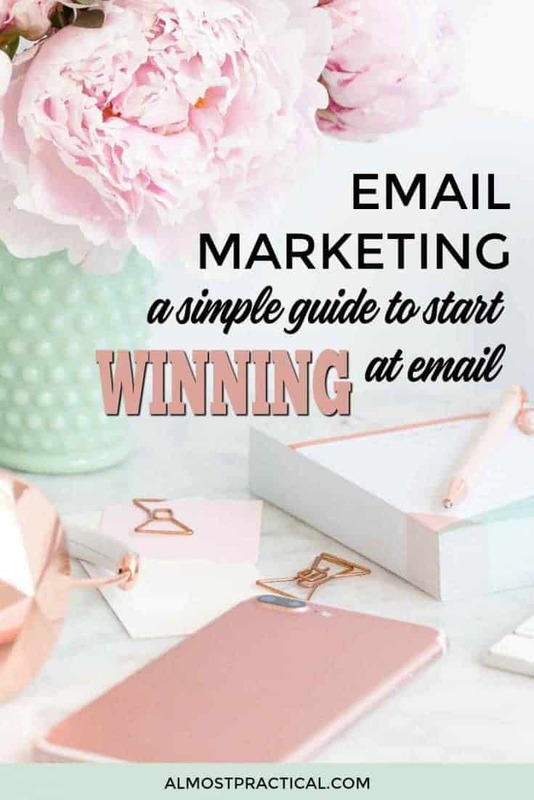 Email marketing is a very effective way for you to connect with your readers via their inbox. Don't worry if you don't know much about it. This simple guide goes beyond just the definition, and will explain everything in terms that are super easy to understand. what your first emails should be about. Email marketing is not just about selling. It's about connecting with your audience. Lots of new bloggers hear the word “marketing” and think – oh, that is not for me. Email marketing is about regular email communication to your email list. Some of those emails may be informational and some may contain info about things you sell or affiliate products that you feel strongly about. 8 FREE Blogging Resources That You Can Download Right Now! As a new blogger, it is sometimes hard to fathom why you need to use email marketing. Right now, you are working on creating content for your blog. Sending out an email newsletter -yikes! – it just seems like way to much work. Email marketing is the best way for you to connect with your audience. People who buy products marketed through email, spend 138% more than people that do not receive email offers. That is 138% – sheesh! Well, maybe not yet – but you will. It might be your own product, it might be an affiliate product, or maybe you will use email to grow your audience by partnering with another blogger. Whatever the case – your email fans will be at the center of it. Resistance – I can feel it. Be honest – you probably think that email marketing is kind of sleazy. But I learned that it doesn't have to be. If you know specifically WHO you are writing to, then your email becomes a source of useful information to your reader. When you show up in their email inbox every week, your readers start to build a relationship with you. They look forward to the information that you have to offer, and they will buy products that you create or that you recommend. I am sure you can think of at least one favorite blogger that you subscribe to. When their emails land in your inbox – you read every single one. Your goal is to be THAT blogger to your own audience. Your readers have given you their email address with the expectation that you will deliver content that they are interested in. So, if you blog about fashion and you suddenly start sending email about baby toys – people may unsubscribe. Likewise, if you start bombarding your readers with daily emails that contain a heavy sales pitch. Again, they might unsubscribe. No one wants to feel like a commodity. Be genuine in your communication and make life easier for them. To keep your email mojo up and running – you must be true to yourself as well. Maybe you blog about fashion for new moms. Then writing about toys makes sense. The people that like fashion but don't want to hear about baby toys might unsubscribe. That is fine, because they weren't your ideal reader anyway. Your emails are an extension of your blog. The people on your list are there because they want your information delivered to their inbox. In fact, you are doing them a favor by letting them know about exciting new stuff in your field. Don't think of your list as bunch of people that you can market to. Think of your list as a single person, a best friend, or a mentee, that really wants to hear about your latest posts, about deals, opportunities, and interesting people that can help them in their journey, and about products that you create. They want this information delivered in a very personable way. Now, all you have to do is give them what they want. In my opinion, the size of your email list is not as important as the quality of the people on it. Not everyone will agree with that statement. But, personally, it is hard for me to use email marketing because I always feel like I am “bothering” people. The way I get over that is by offering an incentive for people to sign up to my email list. And not just any incentive. To stir up interest in my list, I offer something that relates to what my emails are going to be about. Right now I am offering my Ultimate List of Blogging Resources and I also offer a Website Color Cheat Sheet. Both of these incentives are related to blogging. My emails are mostly about tips, tools, and techniques for growing your blog – so the offers make sense. If you have taken a look around my site, you will see that I also post recipes here. But even though I post recipes, I don't offer an email incentive that is cooking related (i.e. – Subscribe and get my top 3 smoothie recipes). This is because my email marketing newsletters have nothing to do with cooking. I might mention my latest recipe in an email but I don't go much deeper than that. So, the people that would have signed up to get my smoothie recipes would definitely be disappointed and unsubscribe from my “how to start” a blog emails. I know I am getting ahead of myself here. How Exactly Do People “Sign Up”? As you visit websites across the internet, I am sure you have noticed that most websites have forms that you can fill out to subscribe to their list. You see, there is actually a law called the CAN-SPAM act that governs all commercial email messages that are sent. One way to stay in compliance with this law is to only send email marketing messages to people that specifically sign up to your list. hand you their business card. They specifically should fill out a form on your site or add their name and email to a paper list. This form or list must make it clear that they are agreeing to receive email updates from you. a form in the footer. The answer to this question is not quite so simple. If you use self-hosted WordPress and the Genesis Framework – you can use the Genesis eNews Extended plugin to add opt-in forms to your site that integrate with most email service providers. On this site, I use the Sprinkle Pro Theme by Restored 316 Designs – and some of the opt-in boxes are styled through the theme itself, in combination with the Genesis eNews Extended plugin. Some email service providers like ConvertKit and MailChimp (two of my favorites) offer opt-in forms, pop ups, and landing pages as part of their service. You can build these right on their site and copy and paste a snippet of code onto your site to get the box to appear. Some email service providers also offer WordPress plugins to make it easier for you to integrate the forms. If you don't know what an email service provider is – keep reading – I cover that below. Another option for creating opt-in forms to build your email list, is to use a third party service. Keep in mind – there are pros and cons. There are two main advantages to using a third party service to create your email marketing opt in forms. First, these services usually offer more options for customizing your forms. Second, they integrate with several different email service providers.So, if you start with ConvertKit for example and switch to MailChimp, you just need to change the integration on the back end. You do not need to comb through your site and switch out every. single. form. I have heard that some opt-in services can slow your site down. Just something to keep an eye on. One of the biggest newbie mistakes that I see bloggers make is to use a personal email service to send out email for their blog. In this case, personal email means a generic gmail or yahoo type service – even if you set it up specifically for your blog. To keep your email marketing efforts compliant with the CAN-SPAM Act, you really must use an email service provider. Related: What are email service providers – and why you need one. It is an integral part of building your blog and communicating with your readers. A lot of my personal buying decisions are influenced by emails that I receive. I'm sure yours are, too. But, as a blogger you do need an email service provider to get started with email marketing. And, unfortunately, most email services are not free. However, I have a tip for you. There are two email services that I know of, that are great options for beginning bloggers. This is the service that I currently use – and I really like the features. Click here to learn more about MailerLite. MailerLite gives you unlimited emails to your first 1,000 subscribers. Their service includes automations and customer support. You may have heard about lists and tags in email marketing – well, MailerLite currently is list based but supposedly a tagging function is in the works. MailChimp also offers a free level. Click here to learn more about MailChimp. The free accounts at MailChimp allow up to 2,000 subscribers and 12,000 emails. Automations are now included in MailChimp free, but customer service is not. MailChimp is a list based service. In theory it all makes sense. Yes. We should be sending out regular emails. When you are staring at that blank page with the blinking cursor, well – figuring our what to write about is kind of tough. Despite everything I know, I still struggle with it. So here are a few ways you can trick yourself to get those creative juices flowing. Your email service provider will send out an email so they can confirm their subscription, under double opt-in. Once confirmed, your email service provider will automatically send out a second email with a link they click to download their freebie. Once they get the freebie, you don't want to leave them hanging. Let your audience get to know you by sending out an email with a few ground rules. Tell them what they can expect in terms of the content and frequency of your emails. You can even take it one step further. In order to send out these little sequences automatically, you need to use an email service provider that offers automations. Both MailerLite and MailChimp offer automations in their free level. And ConvertKit is all about automations, too. Basically, you write the emails before people sign up for your list – and then schedule them to be delivered over time based on when a person signs up. So, if I sign up for your list today – I will get the first email in your sequence tomorrow and the next one in one week – for example. But someone that signs up three days from now, will get the same first email the day after she signs up and the same second email a week after that. This will help you keep writing because you don't have to come up with original content constantly – but your readers will hear from you on a consistent basis. The downside to automations is that they are evergreen and don't reflect current promotions or events. So, while you are automatically sending out an introductory sequence – you may also be sending your weekly newsletter or another sequence about a promotion. Typically, the way I handle this situation is by scheduling automations to go out on a certain day of the week, and then sending out current info on a different day of the week. This way, nobody gets two emails from me on the same day – unless I specifically want them to. Email marketing is a great way to connect with your audience. It is effective because you build trust through email. To get readers to sign up, you need to produce great content consistently and offer a little sign up bonus to sweeten the deal. You can get started with email marketing for free with services like Mailchimp. Just be yourself in your communication and set up a few automations to get the ball rolling. What Are Your Biggest Email Marketing Obstacles? What a coincidence — you wrote a Fantastic post for beginners on email marketing and I wrote up something for folks who already do email marketing. No, you don’t have feel like you are bothering your subscribers as long as you don’t over sell anything and that you don’t email almost every other day. We’ll never know the right frequency that fits your business goals and still provide value to your subscribers unless you test things out. 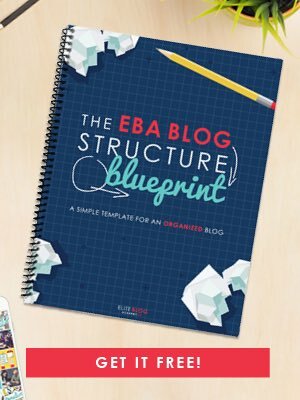 Building a list has to be a priority for every blogger, that’s for sure. Although emails seems to have competition from Facebook messenger now (we can never be sure), my vote still goes out for email since “you” own your subscribers and you get complete control over your email marketing strategy. It does take a while to build an email list with engaged and active subscribers — and yes, we should unsubscribe people (or allow them to do it themselves).